Torontoist remembers Lite-Brite like we were playing with it only yesterday. This year’s Cavalcade of Lights brings to mind pointillist masterpieces from the plastic peg-and-lightbox genre. 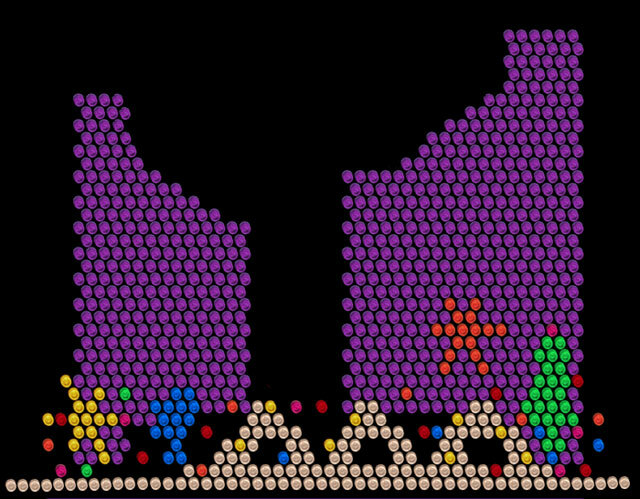 This here’s a Lite-Brite-esque interpretation of the festivities––or what you may have seen if you forgot your glasses!